Like my wrappers? I do. The last few weeks have yielded a lot of pumpkin recipes, tis the season after all, but I think everyone, including myself, was ready for something different and I had a hankering for chocolate. Usually my Thanksgiving marathon would have yielded at least one chocolate dessert, I do love brownies. There was actually a point near B-Day (Baking Day :)) that I realized I had no chocolate and almost made a last minute change (last minute for me being a week before). I'm glad I didn't but afterwards I needed some chocolate... badly. I did some bookmark scouring and decided on chocolate cupcakes but didn't want sweet and I didn't want rich, but more importantly I didn't want frosting. As I've mentioned in the past, I'm really not a huge fan of cupcake frosting, it's usually too sweet for me. In this case, my omission of the frosting is especially remarkable if you consider that the original recipe used a frosting with peanut butter. That's just how adamant I was. I think more than “traditional” cupcakes I wanted nice, light, individual chocolate cakes. I didn't play too much with the recipe other than halving it and reducing the sugar. The major change was the replacement of half the milk with strong coffee. For those that aren't aware, coffee enhances the flavours of chocolate with out necessitating the addition of more. This has a tendency to lighten the richness of the chocolate while still promoting the flavour. These cupcakes were nothing less than airy. The flavour itself was precisely what I was looking for: not sweet and not rich. They were like the cake equivalent of a Nestle Aero Bar and we all know that when you eat an Aero Bar you just "let it melt.” That's the perfect slogan for these cupcakes as well. So please, don't scarf, this is a no scarf zone, if you do you'll miss the delicate texture and flavour. I honestly don't believe that these cupcakes need a frosting. 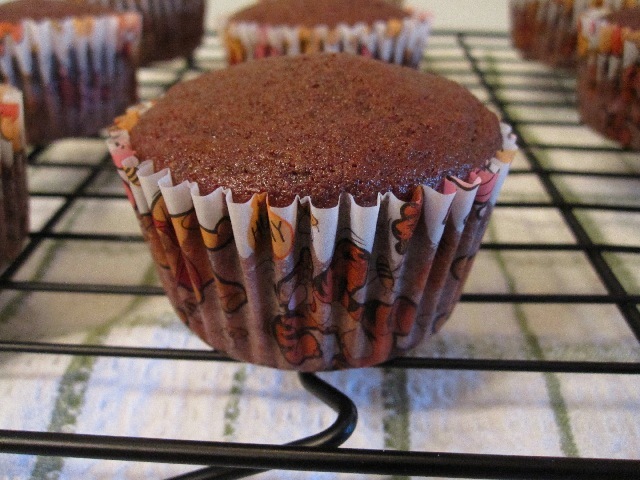 I think the addition of one would just make them a vessel for frosting as it would likely overpower the cupcake. And if all you want to taste is frosting, go eat a bowl of that. Preheat oven to 350F. Line standard 12 muffin tin with paper liners. In a medium bowl add sugars and whisk to combine. Add butter to sugars and cream together (I did this by hand). Add egg and beat until combined. Add vanilla and mix until combined. Add coffee to milk and stir to combine. In three additions, alternate between adding flour and coffee/milk to the butter-sugar mixture, beginning with coffee/milk and making sure to end with flour. Mix until just combined. 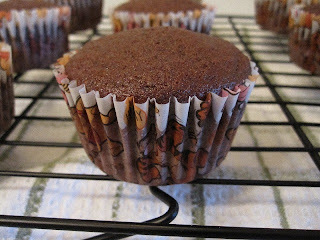 Evenly distribute batter into prepared muffin pan. Bake on centre rack for 15 – 17 minutes (mine took 15). Depending on your oven you may want to rotate at just over the half way mark. 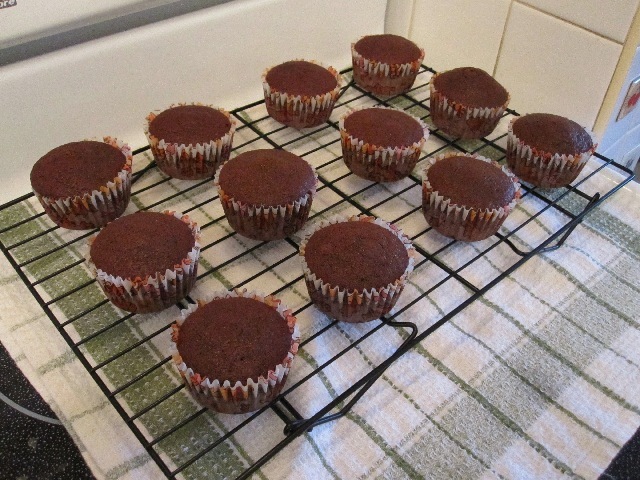 Cupcakes are done when toothpick inserted into center comes out clean. Allow to cool in pan on rack for 10 minutes. Remove from pan and allow to cool completely on rack. I thought you'd like that :). It was either Winnie the Pooh or just plain pink ones. I figured if I was going to wuss out, I might as well wuss out with something awesome :).